MooseStash Quilting: Are You Ready for 2019? The machines in the "MooseStash" have been working overtime for quite awhile, now. to family members who lost their son in a car accident last summer. they will bring them comfort as the pain subsides. went into surgery and died coming out of the anesthesia. We are all ready for a fresh new year, with hopefully much less drama and loss. I have been picked up for another year as an ambassador for "Island Batik". I can't tell you just how excited I am about it! It's hard to believe that I'm starting my 5th year with them, already. as well as loads of inspiration on how to use them. But it's going to be incredible!!! to see the energy and creativity the new ones bring! Congratulations on being an Ambassador once again - I look forward to seeing your creations. As for the lovelies you show in this post - bless you for doing these. I'm sure the families are feeling the love and the comfort in every stitch. Beautiful quilts! Memory quilts will always bring tears, but they will be cherished. 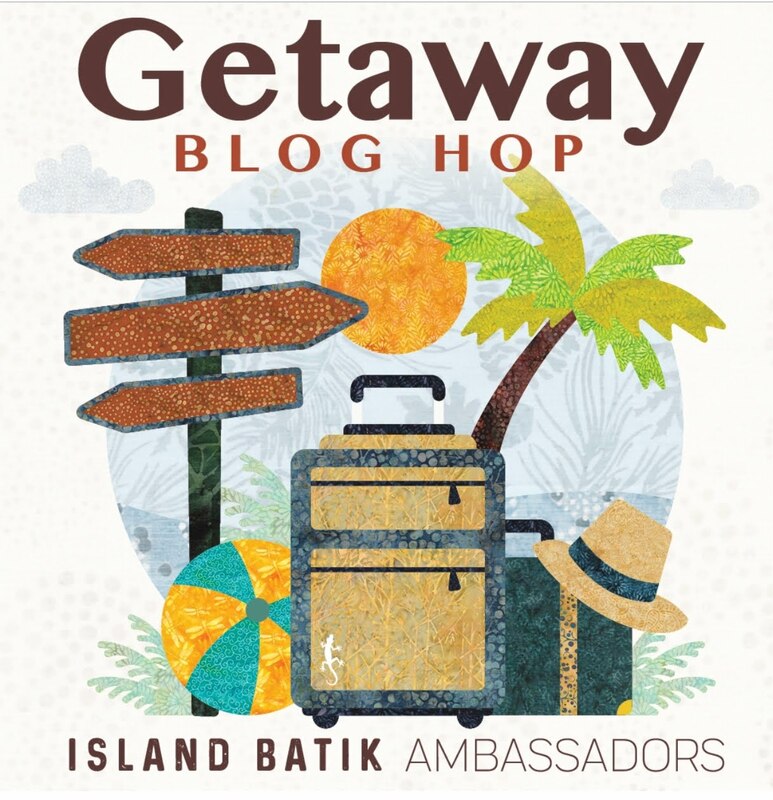 Congratulations on being an Ambassador for Island Batik again this year! I love their fabric and seeing what you Ambassadors create with it! The boot quilts are such a wonderful gesture. They will bring warm memories to the family. Thanks for all of the links and congrats on another year as an ambassador. So looking forward to your "special" type of creativity. Bound to keep us smiling through 2019. Well done on being an ambassador again. And well deserved! Lovely work on the mountain of quilts you made. That is an amazing effort and they look wonderful. I am sure they will be well appreciated.